I love traveling, visiting customers and different places. I’m also a techie and enjoy using different tools to stay productive on my travels. While on the road, I have reports to write, procedures to create, need to respond to Emails and write articles. I use two tools to help with my writing endeavors, and yes, they are techie tools which enable me to write smart. They are Dragon Speak and Grammarly. Both are powerful allowing me to write my thoughts and ideas quickly, and they save time. With Dragon Speak, I talk into the computers microphone and the Dragon Speak software interprets what I am saying and types it as text into the document. It’s much faster than typing, and it’s surprisingly accurate. As you use Dragon speak, you are teaching it by the corrections you make to the text. It also learns your grammar and vocabulary from previously written documents and emails. 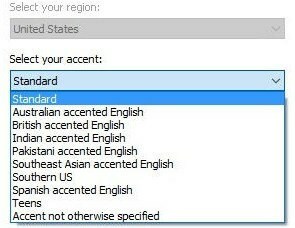 Additionally, when you first set up a Dragon Speak profile, you can select your accent and base vocabulary. Very handy for me with my British accent. One feature of Dragon Speak I like is its ability to read back to you. By highlighting the text, clicking on the audio button, and then selecting ‘Read That,’ Dragon Speak will read back the highlighted text in a female voice. It’s the same as having someone else read your writing back to you. If it doesn’t sound right, you can correct it. Another advantage to Dragon Speak besides typing speed is its ability to type hard to spell words. For a word I have difficulty spelling, I only need to say the word into the microphone. Dragon Speak then types the word correctly spelled in the document. I’ve heard people criticize Dragon Speak saying all it does is makes you lazy. I disagree with them. I use Dragon Speak, and it has helped me become more creative with my writing, and my spelling has improved too. I view Dragon Speak as an additional input device to my computer. And it’s quicker than using the keyboard and mouse. Another powerful tool I use is Grammarly. As the name suggests, Grammarly checks your grammar as you type. 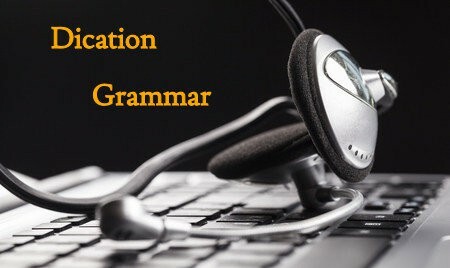 But in addition to checking grammar, it suggests corrections to contextual spelling, punctuation, sentence structure, and writing style. Also, it suggests vocabulary enhancements and can check for plagiarism, critical if writing an article for your blog. Grammarly is a subscription-based service and needs an Internet connection to function. It has plug-ins for Microsoft Word, Outlook, and some web browsers such as Google Chrome. The interesting thing with Grammarly is the more you use it, the less you need it. Using Grammarly, you learn how to write well, it shows your mistakes and makes corrective suggestions. Dragon Speak and Grammarly complement each other well. When you talk into Dragon speak, it can often type the wrong word. For example; effect instead of affect. Grammarly catches this error with its contextual spelling checks and suggests the correct word. Another area where they complement each other is with punctuations. With Dragon Speak, you have to be aware and say punctuations in sentences because it does not recognize a verbal pause as punctuation. Unless you say comma, semicolon or period while dictating, you will have one long line of words without any punctuations. Grammarly catches this and makes recommendations as to where to place commas, semicolons, and periods. It also checks the sentence structure for misplaced words, incorrect word order and wrong sentence structure. We all speak a little differently and use different words for different things when we talk. I know I do as I dictate into Dragon Speak. Grammarly picks up on it and again offers suggestions to word redundancy, wordiness, and suggests alternative words to help enhance the writing. As you can see, using both these programs together helps in creating better, easier to read content. They also save time. It’s quicker for me to write reports, procedures, articles, and respond to Emails while traveling using both Dragon Speak and Grammarly together. Below is a quick demonstration video of how I use both these programs together to create a piece of writing in Microsoft Word. Do you have questions or comments? If so, please leave them here, and I will respond promptly. Thank you for reading.